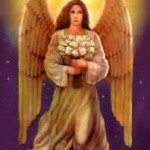 To call on the Angels does not symbolize weakness, it shows strength. It takes great courage to ask for assistance. There is a thought-form in your society that says you must “do it alone” if you are to be considered responsible and mature. This, however, creates a great burden for you in your world because there is so much to deal with in worldly life. It is not easy to live in an earth body, so assistance is necessary in order to live in a happier, more harmonious way. You cannot look for answers to life’s challenges in the world around you. The answers and the way through are in the higher frequencies available in the light of Truth and Wisdom. 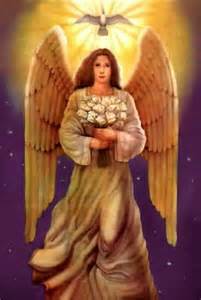 This is the light of God’s love and it is the comfort offered by the Angels. When you ask for assistance, Light and Love flow to you immediately. This expands your conscious awareness so you can see the greater truth in any situation. This receptivity gives you freedom to act in ways that you know are in your highest good.